Knitting progress around here has been slow, but that is what you get from a cabled jumper in 5ply. I am making the Robin Hoodie, but with some pretty major adjustments which are making me stress and do maths. No one said anything about maths when I started this knitting stuff! Buildings in Scandinavia are chronically overheated, so big, thick, worsted weight jumpers are next to useless. So, I have adjusted the pattern down to sport weight, but that is easier said than done. 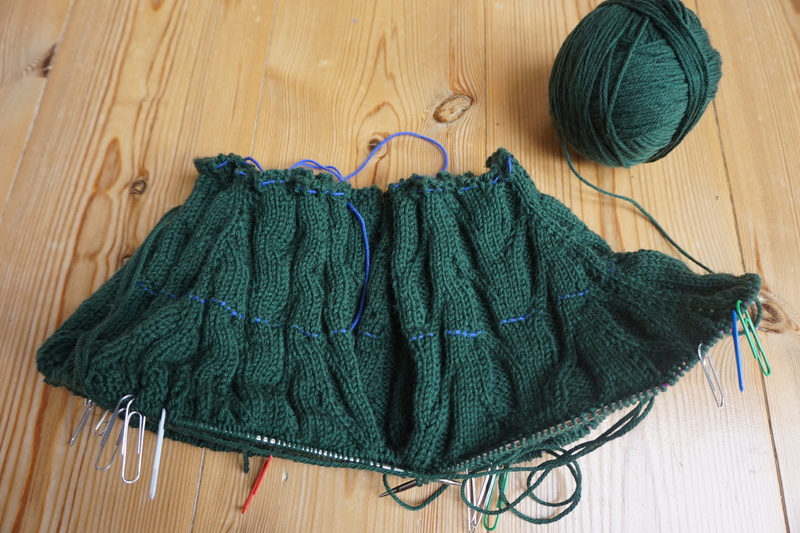 The pattern is an all-over cable, with no blank panels where adjustments are usually made. However, a lot of scribbling, some calculating and fair bit of swearing has gotten me to this point, about two thirds of the way through the raglan increases and it’s looking okay so far. I’m also changing the neckline to have a zipped collar rather than a hood. This is, by far, the most adjustment I have ever made to a pattern. It’s fun though, and now that I have got the hang of the cable pattern, I am getting through it fairly quickly. Thankfully, the “deadline” for this one isn’t until next winter, so I can muddle along for a few months yet. In other news, I have bought the yarn for our next K&Q project, the long Whippet cardigan. This is also a hopelessly complicated pattern that involves five different needle sizes. I think that is a little excessive and until I start swatching, I don’t know what new needles I need to buy. But the yarn is a big bag of Eden Cottage Milburn 4 ply in Dark Night. 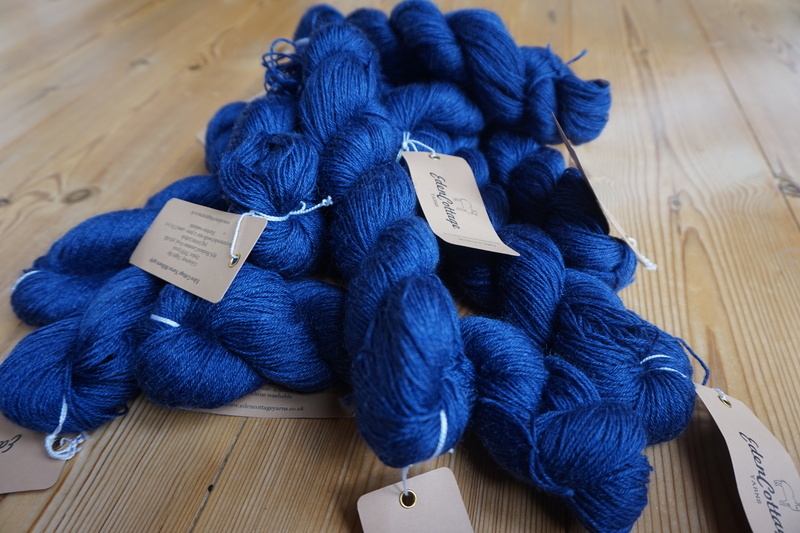 I have become quite enamoured with Eden Cottage Yarns, which is a (very) small dyeing operation in Yorkshire. This is the third yarn I have bought from her, and I have loved every one. The photo doesn’t quite capture the colour, which is more purple-blue than royal blue. But, you guys know how I feel about blue cardigans…. This entry was tagged curse of the boyfriend sweater, eden cottage yarns, I love blue cardigans, maths, why is it so hard to capture yarn colours in a photo. Bookmark the permalink. You are very ambitious with the jumper – well done. What a lucky boy your cameraman is! And I LOVE the cardigan – beautiful!!! !